Born: 13 December 1906, Johannesburg, South Africa . Died: 16 July 1977, Pretoria, South Africa . Richard C. Clark, veterinarian, matriculated at King Edward High School in Johannesburg in 1923. He qualified as a veterinarian at the Veterinary Faculty of the University of Pretoria at Onderstepoort in 1928. In January 1929 he joined the Civil Service and served as Government Veterinary Officer at various stations including the Allerton VeterinaryLaboratory near Pietermaritzburg (1929), Nongoma (1930-1932), Ermelo, Bethlehem and Komatipoort. In 1938 he was transferred to the Veterinary Research Institute at Onderstepoort where he worked in the Pathology Department until 1942. He then moved to the Department of Physiology where he remained until his retirement in 1968. In 1944 he was awarded the DVSc degree for his research on rumen physiology. He held an appointment as part-time professor of physiology in the Faculty of Veterinary Science of the University of Pretoria from 1950. 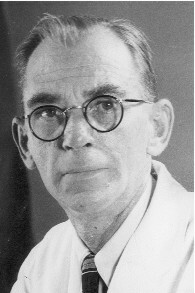 Clark first made his mark by elucidating the nature of domsiekte, or pregnancy disease in sheep, and later specialised in the digestive physiology of ruminants. He published widely in these fields and was recognized internationally as an expert in ruminal physiology. He became editor of the Journal of the South African Veterinary Medical Association in 1948 for a period of four years and was reappointed for short periods in 1953, 1965 and 1968. Clark, R. Domsiekte or pregnancy disease of sheep, IV. Onderstepoort Journal of Veterinary Science and Animal Industry, 1943, Vol. 18, pp. 279-288. Clark, R. & Quin, J.I. Studies on the alimentary tract of Merino sheep in South Africa XIII. Onderstepoort Journal of Veterinary Science and Animal Industry, 1944, Vol. 20, pp. 209-212.